Cholera has affected a tleast seven people in Harare and Chitungwiza with authorities suspecting seventeen more cases. "Nine suspected cholera cases, four confirmed cases were recorded in Stoneridge and another suspected case was reported in Belvedere but it tested negative. "Eight suspected cases and three confirmed cholera cases have been reported in Chitungwiza Central Hospital as of 14 April 2018," read the tweets. 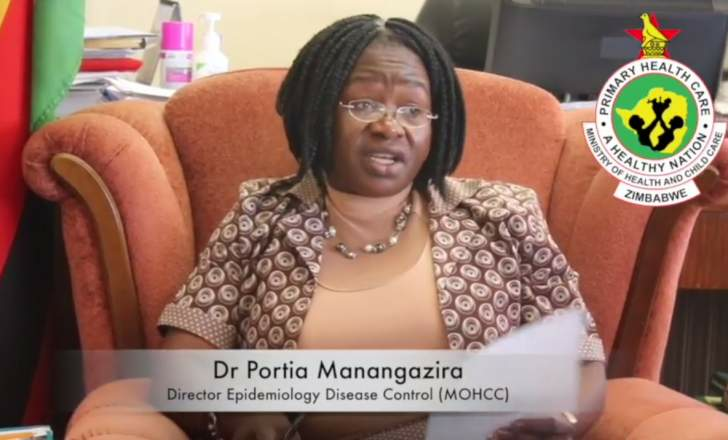 Director of Epidemiology and Disease control Dr Portia Mananganzira said in the City of Harare, the first report of cholera was made on 22 March 2018. "To date there has been a total of 13 patients, seven of which are confirmed and three dates," she said. Dr Mananganzira said Stoneridge, which is largely an informal settlement has seen an increase in the number of cholera cases. She added that the epidemic has also spread to St Marys in Chitungwiza. She contributed the outbreak to unavailability of water. "In Stoneridge, there is no water at all. People use public boreholes and we gather there are queues, so people end up using readily available water which is untreated," she said. Director of Epidemiology and Disease Control also appealed to local authorities to ensure that residents have safe water, garbage is collected and also waste managed efficiently. "These contribute to the rise in cases of cholera and typhoid.